Have you ever stopped to wonder how Perfume is made? Your scent is an irreplaceable part of your personal style. A single perfume or collection of carefully selected signature scents tell the world who you are. These scents become entwined with your sense of self. We want to share with you some of the magic behind perfume making. Below we turn the spotlight to our new Rococo-inspired Noble VIII Perfumes and share some of the secrets behind the creation of these luxurious perfumes. From creating a concept to capturing beautiful natural ingredients, and crafting them into exquisite perfume – our extracting process is a labour of love. Join us on the journey of discovery as we explore the mystery and beauty of perfume making. We promise you that you will never experience perfume in the same way again. The world of perfumery is an ancient one. Processes have been refined over millennia and perfumers throughout the centuries have dedicated themselves to designing the most desirable scents. We continue to build upon this noble tradition, designing luxurious perfumes that combine the best of timeless craftsmanship and modern techniques. The inspiration behind our new Noble VIII Perfumes is from a period of history that exuded luxury and sumptuous elegance, the Rococo. The era was defined by excess, beauty and decadent design, and these values formed our Noble VIII Magnolia scent, which has the sweetly feminine magnolia as its heart. Agains this floral centrepiece, we have added top notes of soft fruit, alongside sweet pea and with a base of honeyed vanilla and sandalwood. Each scent has been chosen for its beauty, cohesiveness and relevance to the wider theme. The Noble VIII Immortelle is based on the immortelle flower, a celebrated bloom and scent of the period that chimed with the evocative and sensual feeling of the time. The top notes are bergamot and cardamom set against a sandalwood and papyrus base.The result is a spicy and defiant perfume that feels intuitively masculine. The quality and magic of a luxury perfume is built on the strength of its ingredients. These ingredients must be sourced carefully and extracted with the utmost care and attention. 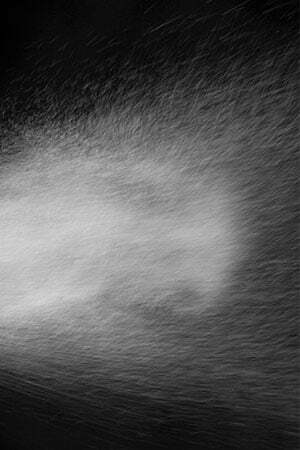 The very best perfumes rely on an abundance of naturally occurring elements grown in ideal conditions. We source the highest quality ingredients from around the world, using natural elements where possible. Where the use of natural ingredient is not possible, we use advanced scent technology to introduce alternatives. 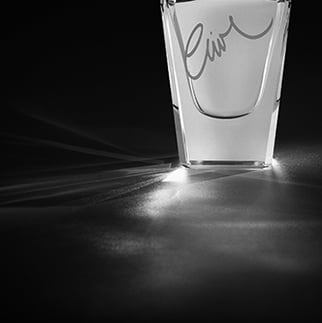 Clive Christian’s Perfumes are defined by high volume of rare and precious ingredients. 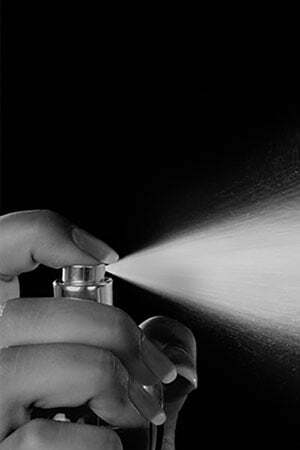 This allows us to create intense perfumes which are truly extraordinary. The careful extraction of fragrance oil from raw ingredients is a delicate and complex process. It must be undertaken slowly and with great skill to allow the purest, most fragrant oils to be collected. Extraction methods vary depending on the base plant and the type of scent desired. For many plants, such as the rose, a huge amount of raw materials is required to create a very small amount of the best perfumed oil. Rose Absolute requires 170 Rose de Mai heads to to create just a single drop of the absolute (Absolute is an intensely concentrated scent oil). Clive Christian Perfume always sources oils that have the purest and most concentrated scent. This allows us to produce the very finest perfume. 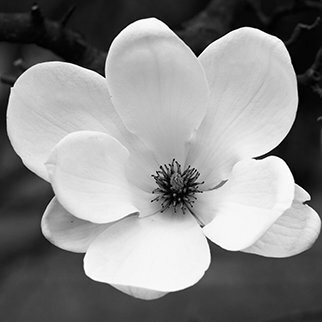 The magnolia flowers are harvested at night when their scent is at its fullest. Flowers and delicately placed in beds where steam is passed through the blooms. The steam collects the hot fragrant oil from the flowers which is distilled into essential oil. Grown in Eastern Europe the flowers are harvested throughout the summer. The flower heads are dried and placed into a solvent to extract an absolute oil. The intense colour of the flower means that the oil requires further processing to remove the pigment whilst maintaining the vital scent molecules. The bitter fruit is harvested over winter and early spring. The fruit is rolled over tiny pins to release the fresh, fragrant oil beneath. No further processing is required, making this one of the freshest and zestiest natural oils around. Grown underwater, this complex plant carefully dries the roots to protect the precious oils within. When dried they are treated with steam to release the scented molecules which are distilled with oil to create a distinctive fragrance. Once harvested, oils are combined in the perfect balance to create a layered lingering perfume that develops as it is worn. Creating this balance is the task of a master perfume maker, and ratios are tested and realigned until a perfect scent is created. At Clive Christian Perfume, we have evolved this process to develop paired scents, which can be worn alone or layered to create an extraordinary sensory experience. They are exquisite apart, extraordinary together. A beautiful scent deserves a beautiful bottle and at Clive Christian Perfume we design our packaging every bit as carefully as our perfume. Based on the original bottles of the Crown Perfumery, each bottle features the golden crown of Queen Victoria. The crown was licensed to the Crown Perfumery in 1872 by the Queen herself and has remained an iconic brand symbol following the acqusition of the company by Clive Christian OBE in 1999. Today it remains an important symbol of the British luxury Clive Christian represents. The bottle for each of our perfumes is conceived as a work of art, symbolising the individual beauty of the scent within. For our Noble VIII collection that meant embracing the intricate design work of the period including chinoiserie to create an opulent aesthetic. Beginning to understand the perfume making process is to glimpse behind the curtain of an exquisite perfume. Creating fine perfume requires a level of craftsmanship, dedication and love of scent that runs into obsession. At Clive Christian Perfume, we live that obsession through every one of our luxury perfumes.